When I was in junior high, I checked out every book on etiquette that I could. I remember scouring that section of the library and checking out every Emily Post or Miss Manners book. I was take them home and read them and pretend that someday I would grow up to be one of those effortlessly chic women with tons of confidence and impeccable manners. I would go to a different dinner party or gala each weekend, and I would know exactly how to behave and what to wear. Now that I’m an adult – I can assure you that I did not become one of those women. I’m far too anxious and awkward. Still, a girl can dream. 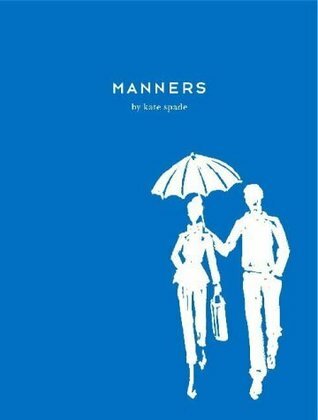 I recently read the book Manners by Kate Spade, a phenomenal designer. I’ve always loved Kate Spade. She has the perfect blend of classic minimalism and exciting whimsy. Her designs are amazing, so I was so excited to read this book with a more personal flair. I was not disappointed. The book Manners was peppered with fantastic personal anecdotes while still giving lots of practical advice. There’s truly something in here for everyone. Even the most well-mannered etiquette expert would still enjoy fun facts interspersed in this book. Something about this book gave me hope that maybe the adult version of myself that I used to dream about could still come true someday with a little effort. We’ll have to see.